Kids Have a Lot of Challenges Today. The program emphasizes “training” over “correction.” This one idea helps your child move toward a goal, making you a coach, and helping you to be more positive in your relationship. The Biblical Parenting Coaching Program empowers parents to address all kinds of challenges so that kids can thrive, including anger, anxiety, disrespect, bad attitudes, meanness, ADHD, Oppositional Defiance Disorder, lying, and the list goes on and on. Parents are the best counselors for their kids IF they have a good plan. Your parental radar is a God-given indicator to help you know where and when changes need to take place. Strategy is far more effective than reactive parenting. A heart-based approach is much more effective than reward and punishment to bring about change. The heart contains desires (Psalm 37:4), emotions (Deuteronomy 6:5), attitudes (Hebrews 4:12), and beliefs (Romans 10:10). Any one of those can get a child into serious relationship trouble. All children need help in those areas in order for their hearts to produce the right kind of fruit (Luke 6:45). The Biblical Parenting Coaching Program brings strategy and technique together in a practical, individualized 8-week program. All children are unique so the coach tailors the program specifically to each child and parent. Each week builds upon the previous one to help your child build the life skills necessary. Major changes take place when you work on the heart. Dad and Mom saw major change in their four-year-old son who was angry, had regular temper tantrums, fought with his brother, resisted parental leadership, and created chaos at bedtime. After going through the program, read the Final Report here. One of the strengths of the program is that it models the way God changes us as his children. Most of us, as parents, need to adjust our thinking and approach with our children. Many parents are doing good things. It’s just not working. They need different good things and we offer tools that are practical, make sense, and that work. See exactly how the program works, what’s taught in each week, and how you balance the independent study, the work with a coach, and the practice sessions with your child. Check out more details here. Thank you for taking time to read through this website. I work with parents myself and I train all the coaches that use our program. I’d like to give you a taste of what you’ll learn and what you’ll experience in the Biblical Parenting Coaching Program. Please download this book. It will help you identify a target quality in your child, and get you started thinking about a strategy to reach that goal. I have been coaching families for many years. Parents with challenging problems come in and even after the first meeting, they are hopeful. As they start working they see significant change in a short period of time. 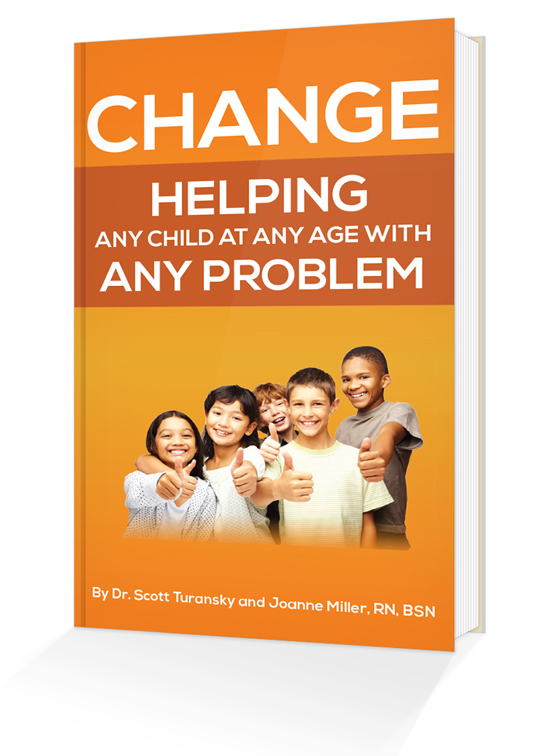 The approach I use, along with heavy doses of God's grace, works to help kids change. Parents find it refreshing, insightful, and hopeful. In fact, I'd be happy to give you a free 15 minute consultation to see if this program would be most beneficial to you. I'll listen to your situation, give you some analysis from a heart-based approach, and guide you to the best solutions. Go here to request your free consultation. Suggest a time of day that might work for you and consider having you and your spouse on the call. It's biblical, looking at a theology of how God changes us. When we understand change from a biblical perspective we multiply our efforts. It’s practical, giving specific how-to solutions. When kids practice right responses, it changes patterns to positive ones. It’s focused on the heart. Now we’re looking at tendencies and changing them with a deeper, longer lasting approach. It looks long-term. Common problems become the training ground for life skills that kids will need for the rest of their lives. If you’re ready to sign up with a coach then choose one off the Find a Coach page. Read through the bios and see which one might be best suited for you. Go ahead and pay for the program and that coach will call and talk to you to make sure it’s a good fit. If so, you’ll move forward and the coach will give you a code to purchase the Parent Portal for and additional $50. If not, you can contact our office and get a full refund or transfer to a different coach. We want you to be pleased with the program from the onset. Your eight weeks don’t start when you pay for the program. They start when you and your coach agree on a start date. My husband and I were praying in December, asking the Lord to show us how to help our eldest child. He is very strong-willed, and we had been seeing his anger and uncooperative behavior escalating recently when he didn't get his way. A few weeks later, a friend told us about this course and we know it was God answering our prayers for help. We have seen our relationships with our son improve as we have practiced some new approaches to parenting and used the biblical principles presented to help us in reaching our son's heart. We have noticed he is more calm, cooperative and respectful as we have been able to listen to him better and understand him more. We are so thankful for this course and our “coach." My husband and I were starting to notice that our four year old daughter was struggling with cooperation. We were frustrated with each of our own experiences leading us as parents to determine what was best in raising our daughter. This led us to pray for God's help in parenting, The answer to pray started with our yes to going through biblical parenting university with a coach. The money, time, and effort we devoted to this eight week course allowed God to change the atmosphere of our hearts towards parenting. This course took us on a heart journey asking ourselves a lot of internal questions before reacting to our daughter's behavior. Each week a new tool was added to equip us to parent from the heart. Through the weeks, we have seen not only our daughter grow in cooperation, but our family dynamic has truly put Christ in the center that can be seen in relational ways. We are grateful to our coach Ron Elwardt who replaced our discouragement with encouragement, who saw us before the class was even finished as intentional parents, and a man of godly wisdom and humbleness. 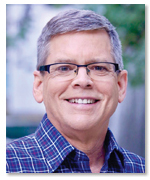 Thank you, Ron, for pointing us to the powerful living word of God in order to parent from the heart. What helped me most about the coaching and materials was how they work hand-in-hand. Anyone can purchase a parenting book, but the weekly accountability and short videos that accompany the written resources allowed me to take one skill or idea at a time and build on it. Practice, practice, practice. My son has extremely difficult issues right now and we are addressing them from a variety of sources. School, support groups, pediatrician, counselor, occupational therapist, oh my. I wasn't expecting any miracles from the National Center for Biblical Parenting but I really wanted to focus on the heart of the matter. That is the strength of the program. The teaching continually brings parenting into a biblical context and pinpoints what is going on in the child's heart. My child's heart (formed by the Lord but experiencing a fallen nature) invites me into the daily situation of expressing God's truth nd grace into my son's life. In the months before beginning this Coaching Program, I had told my son that we couldn’t continue the way we were. The way things were occurring between us was destroying our relationship. I told him that it had to change. I just didn’t know how to do it. The NCBP Coaching Program has helped us to changed the “temperature” of our home, reducing emotions, anger, and frustration. It is influencing change for the future. I would recommend NCBP Coaching Program to anyone looking to enhance, change or revamp their parenting/child relationships. Having the weekly discussions with the coach help with different points of view, as well as being a gentle accountability person. Lisa was a wonderful coach to work with on our parenting journey. We have a strong-willed eleven-year-old daughter who is struggling with many areas of her life. She struggles with her emotions and is often angry or sad. The parent coaching program was a good fit for us and allowed us to intensely focus on our parenting and teaching our daughter life skills as she is growing up and needing to learn how to manage her own life and emotions more and more. Our daughter was resistant to the program at first, but gradually has learned to cooperate with the strategies that we learned through the videos and reading material. She still has a lot of growing to do, but now we feel equipped to help her develop the skills and strategies she needs to be successful. It is very helpful to have a coach to work through the program with. My husband and I talk about parenting issues so much that it is just nice to have a fresh outside perspective on things. Lisa was compassionate, honest and wise as she coached us through the parenting program.